After being the most New York-centric of filmmakers for the first few decades of his career, Woody Allen continues his recent fascination with Europe by taking us to the French Riviera for Magic in the Moonlight. Stanley Crawford is Europe’s most celebrated stage magician. As the Chinese mystic Wei Ling Soo he wows audiences all over the continent. But Stanley’s real passion is using his knowledge of the tricks of the trade to debunk phoney mediums and spiritualists. So when old friend and fellow magician Howard asks for his help exposing a young medium that has enchanted a wealthy widower and her son, he is only too happy to get involved. But in spending time with the lovely young Sophie, who catches Stanley’s eye as much as she confounds his intellect, this strict rationalist and vehement sceptic finds his worldview rocked by the notion that perhaps there is more to the world than meets the eye. Like the incredibly successful Midnight in Paris, this light-hearted romantic comedy takes us back to the 1920s, a favourite era of Allen’s. But rather than just showing us a past world, the film actually feels like a movie from the 1920s. 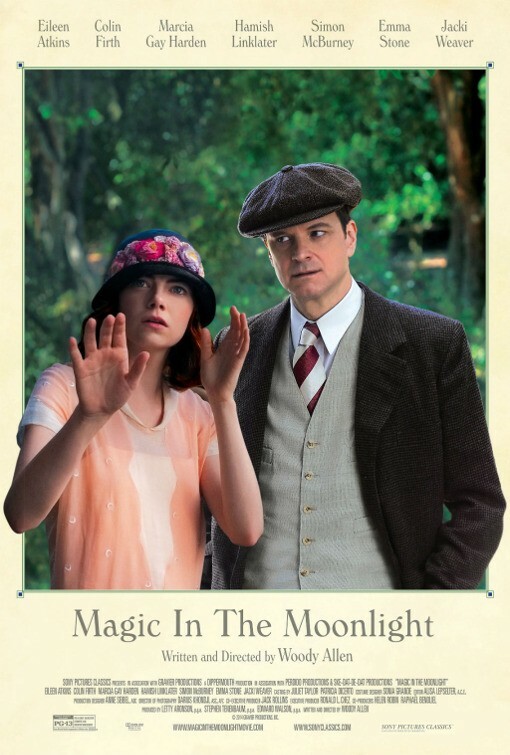 Magic in the Moonlight plays like an old screwball comedy; the kind made by Preston Sturges or Ernst Lubitsch. The characters are larger than life. Their emotional changes are sudden and drastic. Their banter is sharp and witty. The situations are wonderfully silly. While the storyline is not overly taxing or complex – I successfully picked the ending quite early on – it does allow for some surprisingly heartfelt thematic explorations. The possibility that Sophie might be the real deal opens up the possibility that there is more to this life than meets the eye. 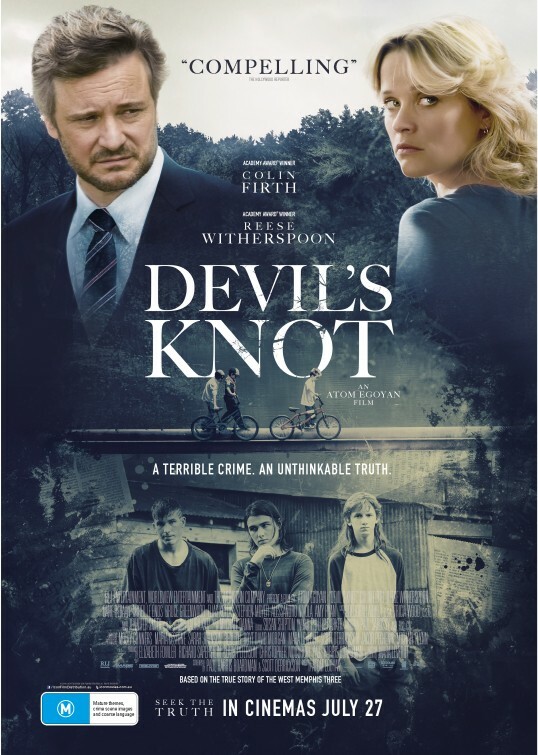 The film explores the important role that faith plays as a source of comfort and in helping people get by. While Allen is himself openly agnostic, he seems to encourage us to pity Stanley for his closed view of the world which cannot accept the presence of anything unknowable or unexplainable. Colin Firth and Emma Stone are not an obvious romantic pairing, and theirs is not a natural chemistry (perhaps because we imagine Sophie’s mother to be a more age appropriate partner for Stanley), but it does seem to work. The butting of heads between this mismatched pair is fun to watch. Firth is full of arrogant bluster and pomposity as a protagonist who is, for once, not an obvious Allen-surrogate, but much more indebted to Rex Harrison’s Henry Higgins in My Fair Lady. Stone is as enchanting and likeable as ever, and while she may not get the lines and zingers that Firth does, her comedic talents are still very much on display. Woody Allen’s films tend to be broken down into either major- or minor-Allen – there are 44 of them after all – and there is no doubting that Magic in the Moonlight definitely falls in the minor-Allen category. It is never going to be part of a discussion of his most significant films. That said, it is none the less well performed, beautiful to look at and a nice piece of whimsical fun. Have you seen Magic in the Moonlight? Leave a comment and let us know what you thought.